When I took my seat in the new performance space at the Highwood Theatre, the excitement in the air was already buzzing. 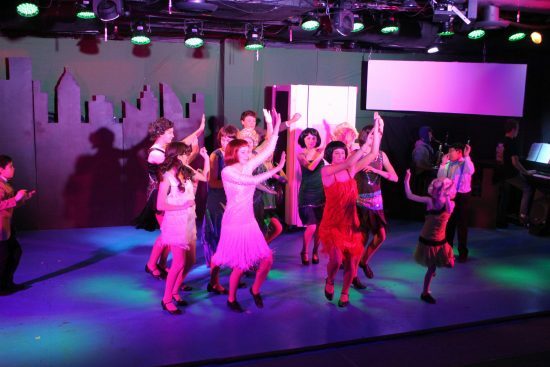 It was opening night of the musical “Thoroughly Modern Millie,” and every seat was taken. The show opens on a young woman against a New York skyline, singing about leaving her Middle-American roots for 1920’s New York. Bobbed hair, jazz-age tunes, madcap humor, villainy and an impressive conga line follow. The story, about escaping to the big city with a song and a determination to make it is, perhaps, an appropriate one for the Highwood Theatre, whose mission is to help students start their own journey into the theatrical arts. The Highwood Theatre is a non-profit organization which has several initiatives to foster community involvement in theatre. The recent production of “Millie” was mounted by the “Production Company,” one of their major programs for area youth. The Production Company is open to students from 4th to 12th grades, and offers all involved a chance to learn about the technical and performative aspects of theatre. This most recent staging boasts an enrollment of 24 students, their largest cast yet. 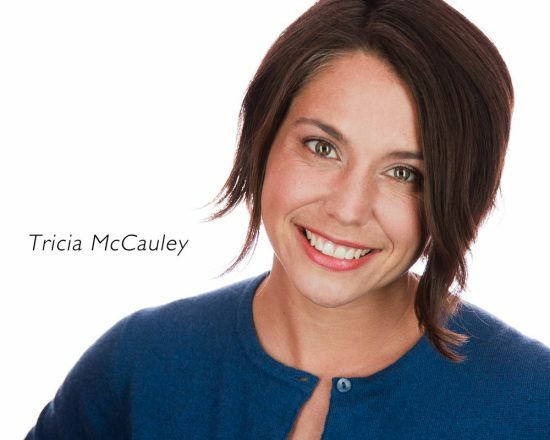 The Highwood offers the kind of program that makes theatre into a community. I got a chance to catch up with the director, Toly Yarup, who is himself a veteran of the Production Company. Talking on the phone, it was easy to hear his enthusiasm for the program, directing, and his current show. “Millie” marks his second stint as director, and he also anticipates helming the company’s new production of “Avenue Q” this coming spring. He took me through the rehearsal process, which asks students to spend a couple hours after school a few days per week. Starting about three months before opening night, students are immersed in theatre, both front and back stage. Training is provided in acting and singing, alongside the finer points of lighting, costuming, and set design. The Production Company also has a no-cut policy: any eligible student who would like to join, can. “We at Highwood believe that anyone can do theatre; we’ll figure out what you want to do and you will love it,” promised Yarup. Perhaps most important to the program, and to its young performers, is the emphasis on self-directed learning. In our chat, Yarup stressed the importance of this collaborative “creative process.” Instead of conforming to a director’s vision for a scene, student participants are given the freedom to experiment and create, learning as they go. Yarup underlined having an “open conversation” with his young cast as a vital part of developing the show. When asked about the benefits of a performing arts education, the director cited the confidence-building that it can offer. With just a bit of pride in his voice, he talked about students who overcame shy auditions to shine in performances: “Now they are singing onstage and doing auditions like they’ve done them for so long,” he explained. I can vouch for the cast’s self-possession; the performers I saw in “Millie” were not only confident, but thoroughly, completely enjoying themselves. During intermission, I could hear parents and friends of performers excitedly comment and whisper about the successes of the show, the acting, the dancing. It’s clear that the Highwood offers the kind of program that makes theatre into a community. “Millie” itself closes with a new young woman arriving in New York City, ready for adventure. So, too, will a new student arrive at the Production Company soon, with a love for performance and theatre. The Highwood will be ready. For more information on The Highwood Theatre’s season, click here or call 301-587-0697. The next Students’ Theatre Production will be ‘All My Sons,’ running Feb. 24- March 5, 2017 at The Highwood Theatre, 914 Silver Spring Avenue, MD, 20910.